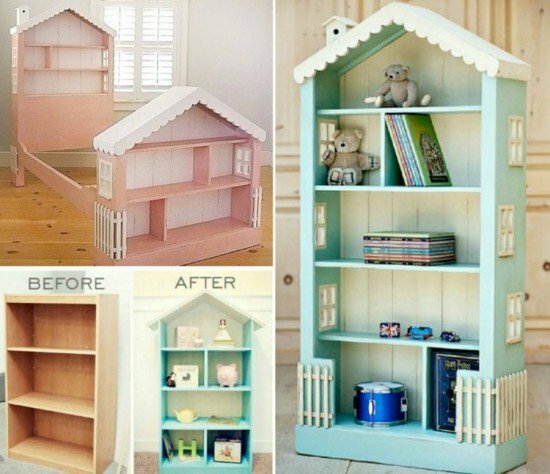 The fairy doll house book case design is perfect for the kids room, you can make it as a stand alone case or incorporate it into a bed head or bed end! If you’ve got a good miter saw, you can make this bookcase in no time. 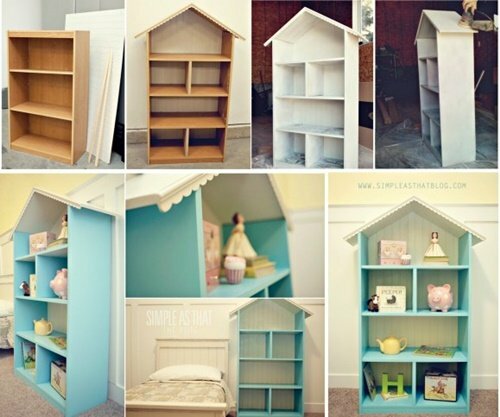 If not, let’s see what you can do with your old simple IKEAN book case. for your choice. 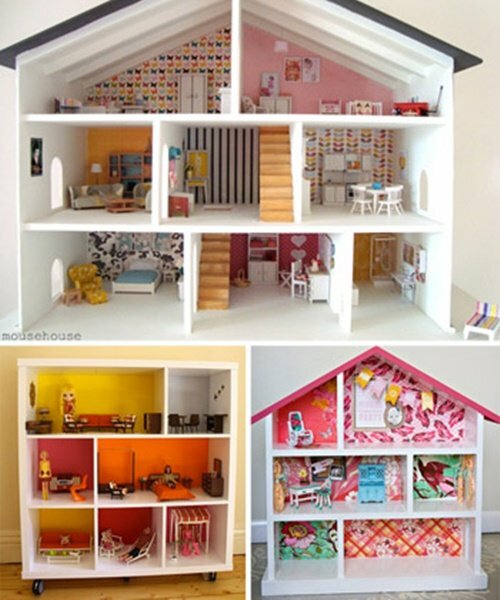 Like the one above from Hozz, bright and cute for kids room decoration? 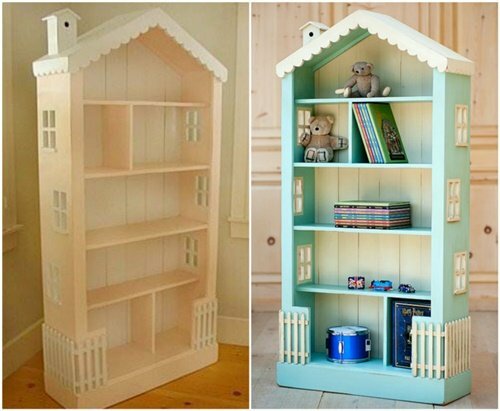 But most of us are not skilled on the wood working, but it doesn’t matter much for creative DIYers as us, repurpose your old, or simple IKEA book case, it will be much easier. 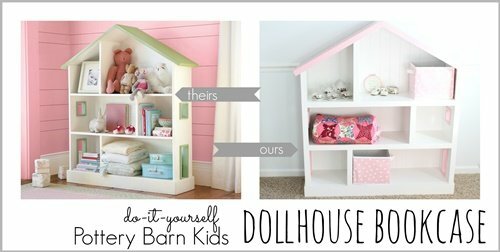 Making new dollhouse bookcase will be a piece of cake for seasoned wood workers. 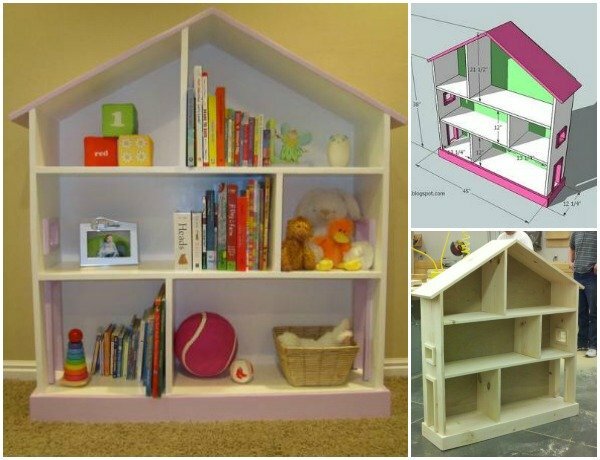 Make a design of your dreamed ones and get the pallet wood / plywood and cut, assemble, and you will finish it in no time. 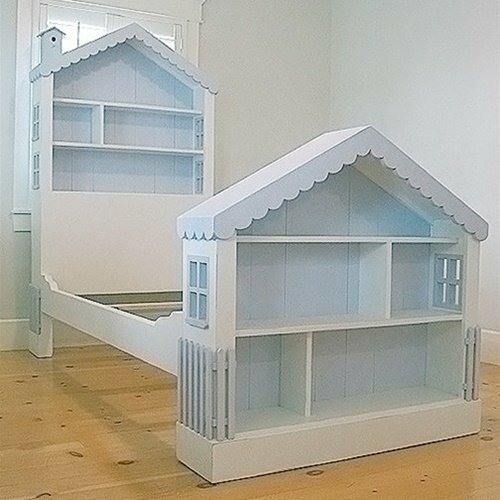 Nice to combine the bookcase into kids beds, too.